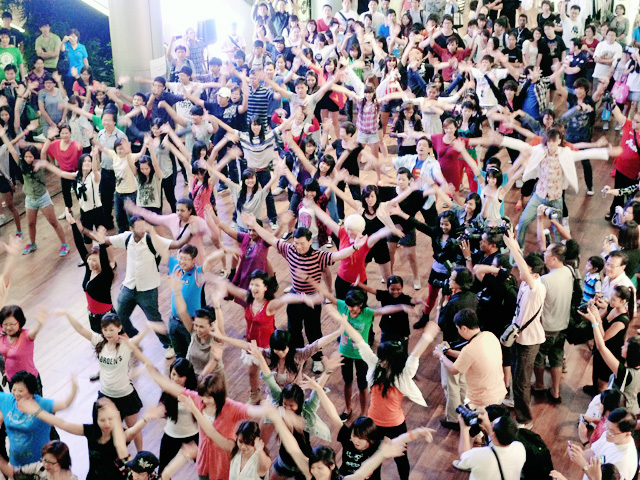 NDP 2011 Step Up Singapore! OUR NATION BIRTHDAY IS TOMORROW!!! OMG!! YAY!!! 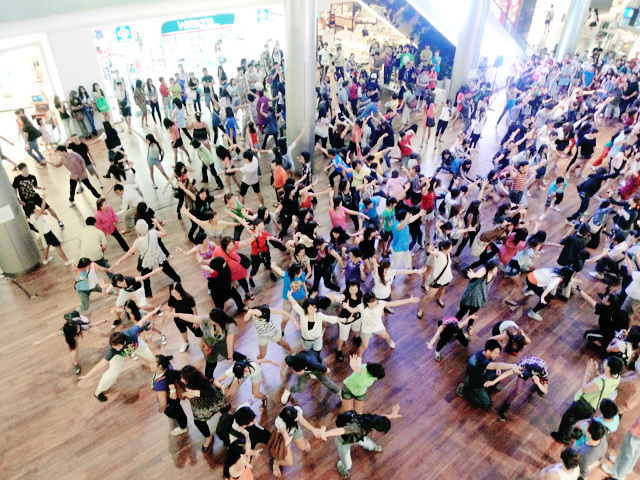 And to celebrate it, they had a fun flash mob that took place in ION Orchard the other day! 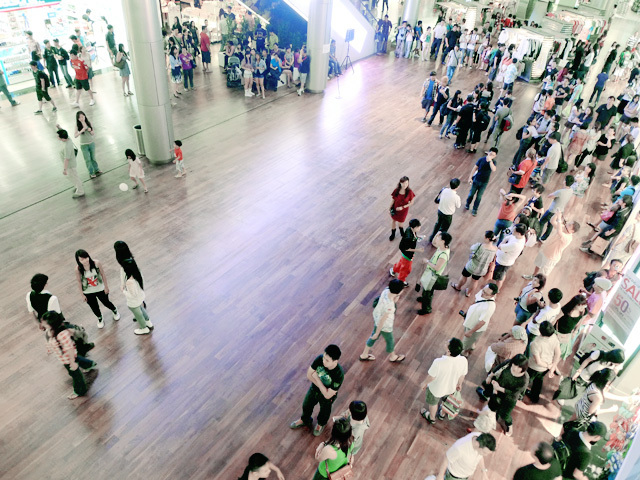 It all happens on a normal day, where everyone is shopping and doing their own stuff! 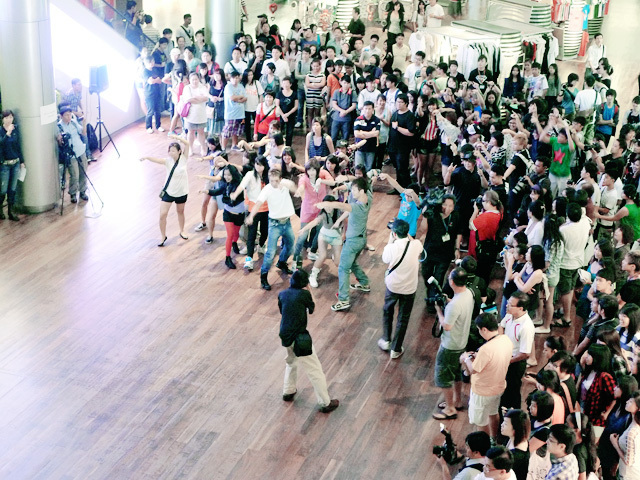 Everyone dances to our familiar tunes that we always hear during National Day! Manage to spot the cute Mr Yam Ah Mee? It then end off with a blast! With Sheylara who is also there to witness the flash mob together with me! 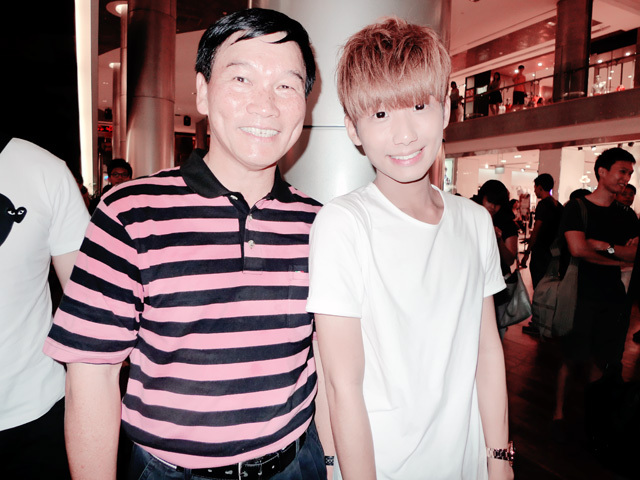 And how can I not take picture with the super cute Yam Ah Mee! So... 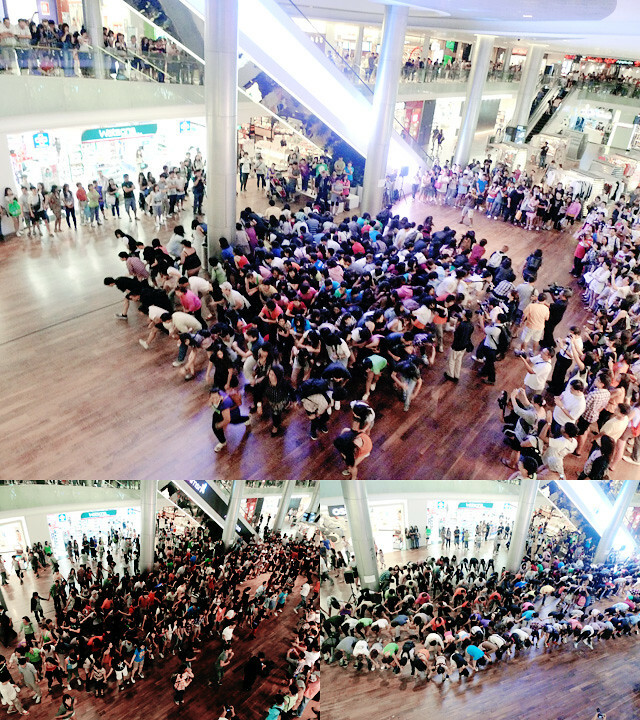 Here's the video on the full flash mob and you guys need to check it out cause I don't think my pictures above do any justice to it lor! This kind of thing must see the video one! Yo ben! Where do you get all your good quality plain tee from?